Are you thinking about starting a Relay For Life in your area? We are happy to hear this as the Foundation against Cancer is always looking for initiators to help expand the Relay For Life concept. Our goal is to have many annual Relays throughout the country. Throughout the organization of your local Relay For Life, you will receive coaching and support from the Foundation against Cancer. 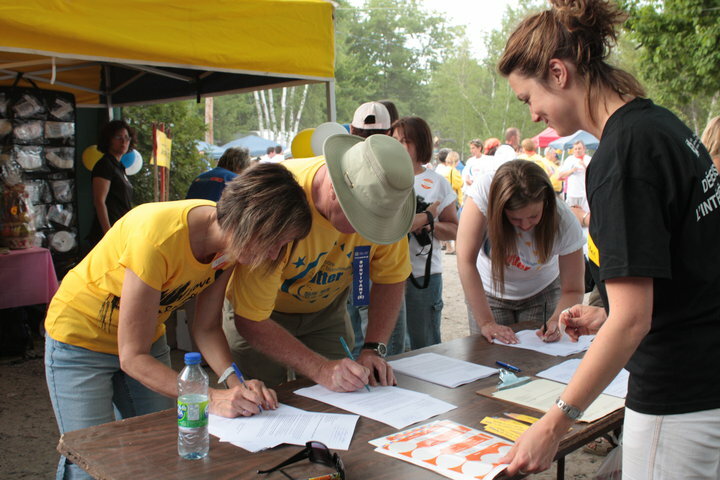 You will be in close contact with a coordinator of the Foundation and receive information sessions, manuals and other tools to help you make your Relay a successful event. Are you enthusiastic to start Relay For Life in your area? Get in touch with the Foundation against Cancer.